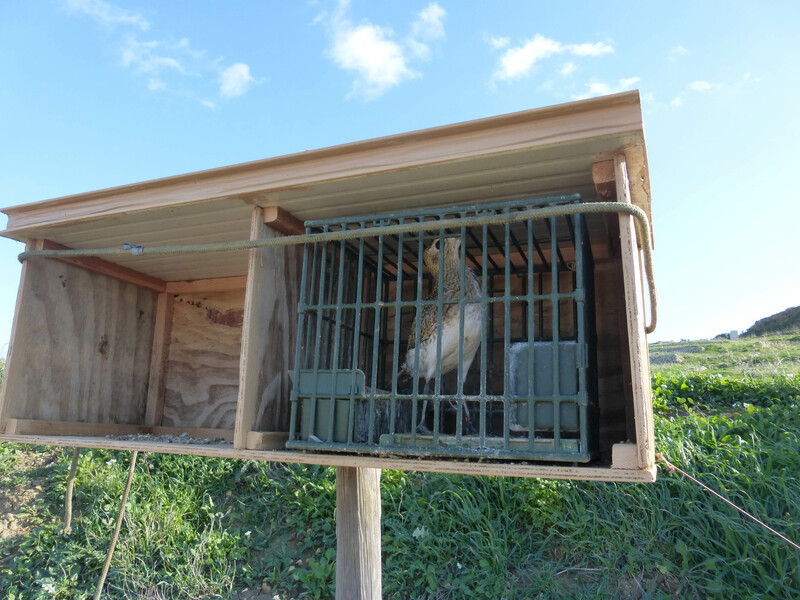 A trapping season for Golden Plover and Song Thrush, if approved by the Government, will be taking trappers for a ride and risking another European Union (EU) court case against Malta. In reaction to the recommendation by the Ornis Committee for the opening of a trapping season for Golden Plover and Song Thrush, BirdLife Malta is today formally reacting to the proceedings of last week’s Committee meeting, which comes after last month’s European Court of Justice (ECJ) landmark judgement which ruled that Malta failed to fulfill its obligations under EU law when it allowed finch trapping. BirdLife Malta, which is represented on the Ornis Committee, was the only organisation that voted against the derogation allowing trapping. During the meeting held on Wednesday the 25th of July, BirdLife Malta reminded the other members of Ornis that the ECJ ruling on finch trapping has direct implications on the trapping of any other species, especially when the same derogation being discussed (that of Golden Plover and Song Thrush) already is the subject of infringement proceedings. During the meeting, the Wild Birds Regulation Unit (WBRU) also briefed the Ornis Committee about the Malta Attorney General’s opinion which has identified various risks of opening a trapping season this year following the ECJ judgement. Amongst the risks identified is the EU Court’s conclusion that the use of clap-nets is not a selective means of capture for two reasons: (i) they can catch other birds, and (ii) they can catch a number of birds higher than the permitted quotas. For this, the Federation for Hunting and Conservation (FKNK) has recommended the use of a larger mesh size for the Golden Plover and Song Thrush. In this regard BirdLife Malta clearly highlighted the risk that increasing mesh size to avoid the capture of smaller birds will still not eliminate the unselective methodology, since other protected birds of the same size or larger than Golden Plovers and Song Thrush could be caught. This does not do justice also with the fact that nets remain a very effective means of capture as the ECJ verdict concluded. This is clearly stated in the European Birds Directive as a reason why trapping is banned in Europe. The Environment & Resources Authority (ERA) also expressed its concern over the amount of nets that will be utilised during the season, which the ECJ verdict has also identified as a source of bycatch. While the FKNK is recommending that nets are covered during the night, the Authority was sceptical such a measure would be sufficient. FKNK also recommended that more enforcement would be expended, yet the Committee has not yet consulted with the Police Force or any other enforcement authority over how such enforcement needs would be met. The ECJ judgement concluded that the fact that merely 23% of trappers were subject to individual spot checks was not enough of a measure to ensure the strict supervision requirement demanded by the derogation. 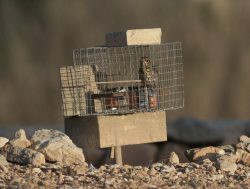 BirdLife Malta also voiced serious concerns over FKNK’s insistence that all licensed trappers, including those that up until last year were interested only in the trapping of finches, would be allowed to trap Golden Plover and Song Thrush this year. BirdLife Malta highlighted to the Committee that this will simply be a smokescreen for trappers to trap finches illegally. This was one of the reasons why the European Commission (EC) also opened the infringement in 2011 with two warnings already made on this very same issue. It warned that any abuse during this season would mean Malta would be referred to the European Court of Justice once again. The final decision now lies solely on the Environment Minister and the Prime Minister. BirdLife Malta will make its concerns clear to both the Government and the European Commission. BirdLife Malta remains hopeful that with the ECJ judgement still fresh in everyone’s minds, the decision to open a trapping season in October will be revoked by the Government in the light of the AG’s concerns and BirdLife Malta’s advice which was backed by the ECJ verdict. Read the Maltese version of the press release here. You can also click here to read more about the infringement procedures initiated by the European Commission against Malta in 2011 on trapping of Golden Plover and Song Thrush.